BLACK - JETJAT NANO C DRONE - MINI DRONE CAPABLE OF SHOOTING VIDEO AND CAPTURING PHOTOS. COMES WITH 2 GB SD CARD AND SD CARD READER. REMOTE CONTROLLER INCLUDED WITH ONE BUTTON FUNCTION TO RECORD/TAKE PICTURES. STILL COMES WITH FAMILIAR FEATURES IN MINI DRONE: 6 AXIS GYRO 4 CHANNEL CONTROL 3D TUMBLING IN ALL DIRECTIONS. This item cannot be shipped to APO/FPO addresses. Please accept our apologies. RED - JETJAT NANO C DRONE - MINI DRONE CAPABLE OF SHOOTING VIDEO AND CAPTURING PHOTOS. COMES WITH 2 GB SD CARD AND SD CARD READER. REMOTE CONTROLLER INCLUDED WITH ONE BUTTON FUNCTION TO RECORD/TAKE PICTURES. STILL COMES WITH FAMILIAR FEATURES IN MINI DRONE: 6 AXIS GYRO 4 CHANNEL CONTROL 3D TUMBLING IN ALL DIRECTIONS. This item cannot be shipped to APO/FPO addresses. Please accept our apologies. 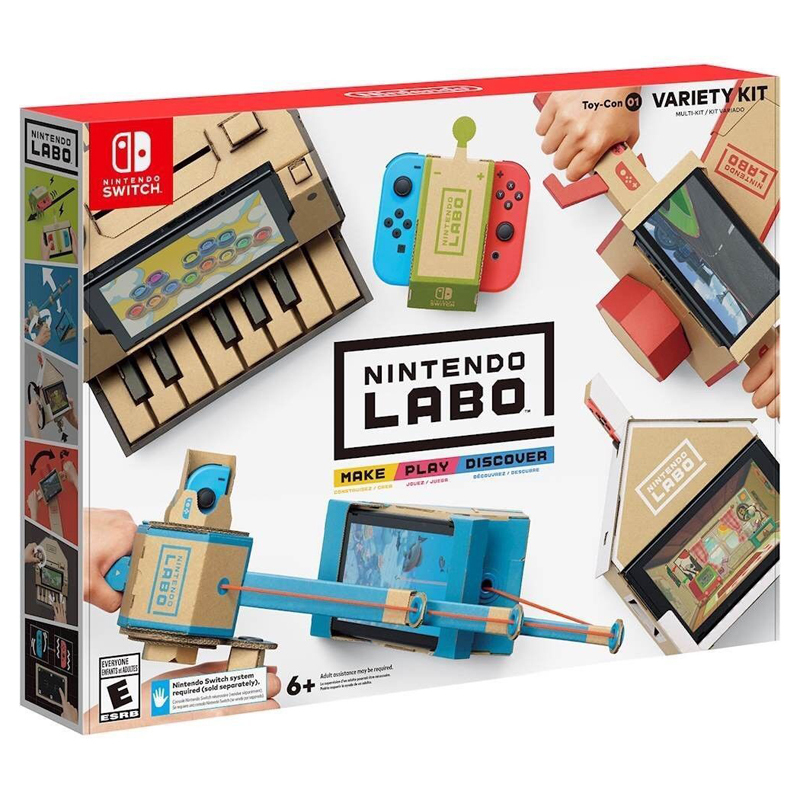 Make Play and Discover with Nintendo Labo! 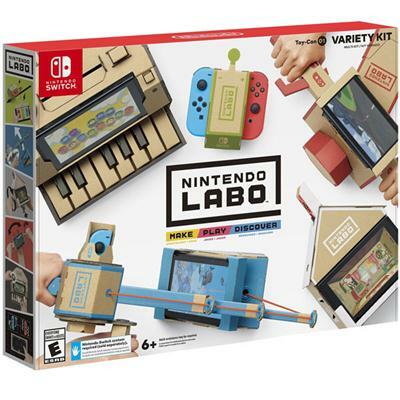 Simply have fun making DIY cardboard creations called Toy-Con bring them to life with the technology of the Nintendo Switch system (required; sold separately) to play games and discover the magic behind how Toy-Con works. Express your creativity by customizing Toy-Con projects with your own color stickers paint and more. You can even invent your own Toy-Con! This item cannot be shipped to APO/FPO addresses. Please accept our apologies. 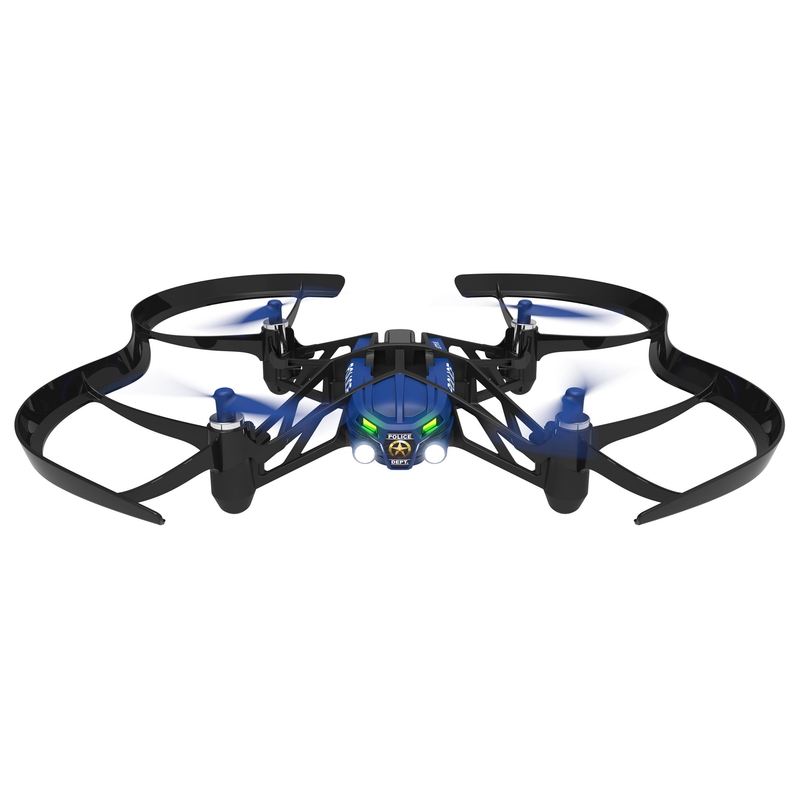 Enjoy a variety of flight experiences, including performing aerial acrobatics and flying in the dark, with the black SWAT Airborne Night Minidrone from Parrot. This Bluetooth-enabled drone is controlled via your compatible iOS or Android device with the Freeflight 3 app. Using the app, you can make the SWAT perform complicated pre-programmed stunts or just fly, as long as it's within a range of 65'. The SWAT is equipped with two adjustable headlights that allow you to pilot it in the dark or other low-light environments. A built-in 640 x 480 resolution camera allows you to take aerial shots which are stored on the SWAT's 1GB of flash memory and can be transferred to your computer or mobile device with the included USB cable. The SWAT also comes with two protective and removable shields, so you can fly without worrying about damage from crash or collision. The SWAT's replaceable battery lasts up to 25 minutes, depending on flying conditions, and recharges via a separately available 2.4A charger or the included USB cable. Equipped with two powerful headlights with adjustable intensity, this lightweight drone offers pilots a wide variety of flight experiences, including the ability to fly in the dark. With a single swipe of your finger, the SWAT turns 90-+ or 180-+. With a single click, it performs acrobatic 360-+ forward or backward flips. Thanks to its 3-axis gyroscope and accelerometer, the SWAT delivers a balanced and steady flight experience. The Freeflight 3 app offers intuitive control from your smartphone or tablet and connects to your drone via Bluetooth Smart. 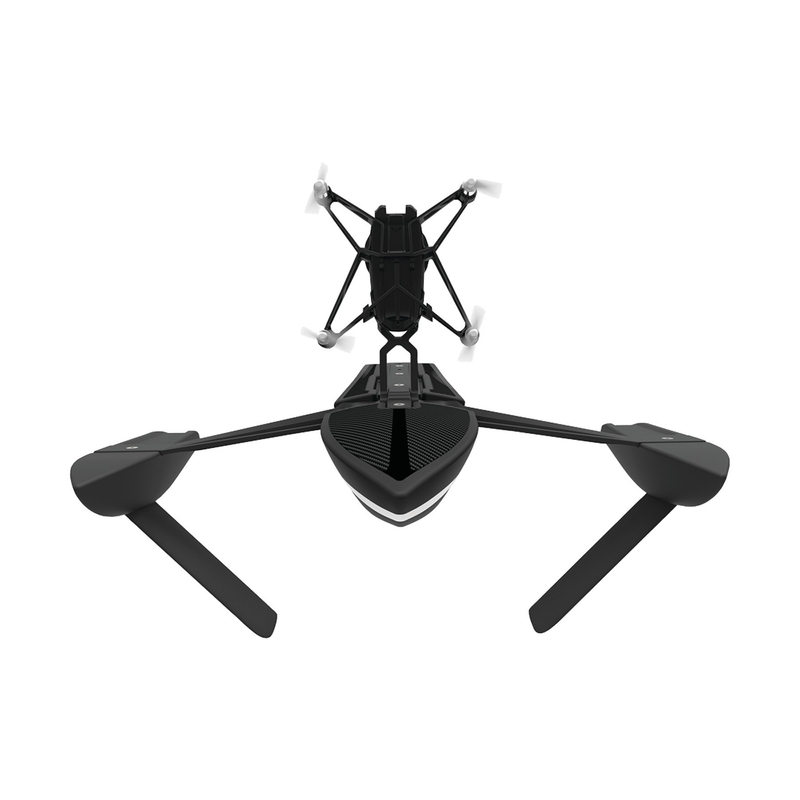 Box Dimensions (LxWxH) : 9.2 x 8.4 x 2.0"
Perform stunts in air and on water with the black Orak Hydrofoil Minidrone from Parrot. Thanks to its hydrodynamic hulls, streamlined foils, and detachable quadcopter body, this Bluetooth-enabled drone can glide over sea and through the sky. It's controlled using the Freeflight 3 app you download onto your compatible iOS or Android smartphone. With the app, you can make the Orak perform complicated pre-programmed stunts, glide across the water, or just fly, all within a 65' wireless range. The Orak is equipped with a 640 x 480 resolution camera that allows you to take aerial and water shots, which are stored on the Orak's 1GB of flash memory and can be transferred to your computer or mobile device with the included USB cable. The Orak also comes with a set of stickers, so you can customize its look to fit your own style. The Orak's replaceable battery lasts up to 25 minutes, depending on flying conditions, and recharges via a separately available 2.4A charger or the included USB cable. Built with streamlined foils and a hydrodynamic hull, the Orak moves with dexterity and speed over water. The Orak flies smoothly can go as fast as 11 mph. With a single swipe of your finger, the Orak turns 90-+ or 180-+, and with a single click, it performs acrobatic 360-+ forward or backward flips in the air. Thanks to its 3-axis gyroscope and accelerometer, the Orak delivers a balanced and steady control experience whether in air or on the water. Designed for safe flying and sailing, the Orak is fitted with a propeller circuit-breaker in case of collision. Box Dimensions (LxWxH) : 15.2 x 5.8 x 5.2"
ROBOTIS DREAM II School Set was designed for parents and teachers to easily begin a robotics session in the classroom setting at an affordable price range. 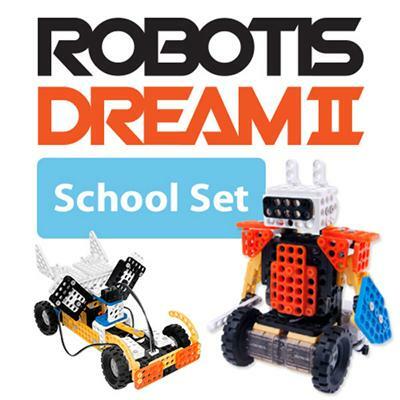 For those teachers who are looking to create their own robotics curriculum & lesson plan the DREAM II School Set is the perfect robotics kit to get started. This item cannot be shipped to APO/FPO addresses. Please accept our apologies. 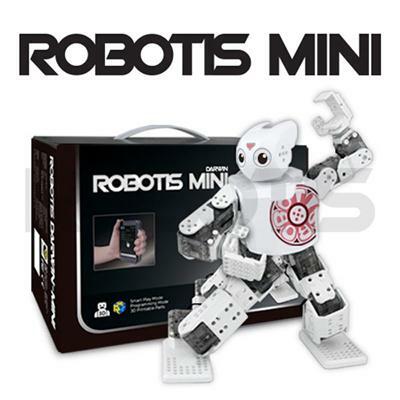 ROBOTIS MINI is a Fully Customizable Programmable & 3D Printable Humanoid Robot. Program its motions with FREE ROBOTIS Software (R+Task & R+Motion) and control your robot via any smart device by downloading the ROBOTIS MINI App! This item cannot be shipped to APO/FPO addresses. Please accept our apologies. 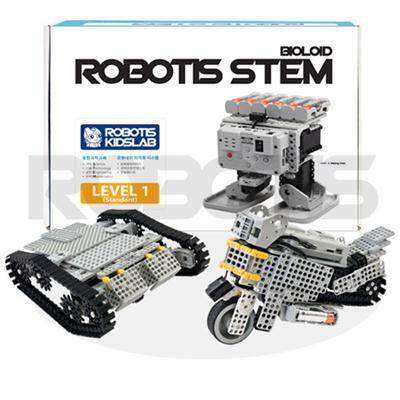 ROBOTIS STEM is a intermediate robotics kit for the school setting and comes complete with a curriculum and lesson workbook. 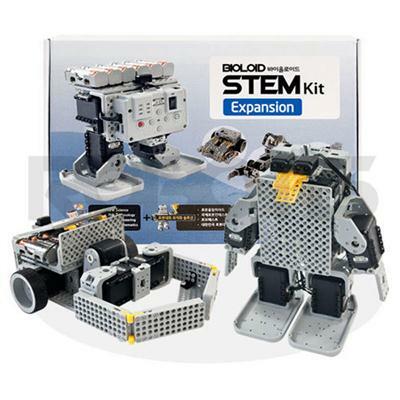 Learn various robotic principles via Project based Learning with the ROBOTIS STEM Kit. Equipped with a powerful ARM Cortex based CM-530 Controller(Supports RoboPlus & Embedded C) students can learn icon based programming as well as text based programming. Go through the Basic Phase of learning about the physical features of a robot then move on to the Application Phase to understand the robots algorithm and learn the robot's command programming and finish with the Practical Phase and put your robot creation to work to solve real world missions and creatively solve problems. This item cannot be shipped to APO/FPO addresses. Please accept our apologies.